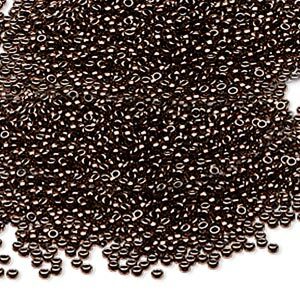 Seed bead, Miyuki, glass, opaque metallic dark bronze, (RR460), #15 rocaille. Sold per 250-gram pkg. Item Number: H20-2433SB Have a question about this item? Tiny, uniform Miyuki rocailles offer more intricate and uniform design potential. 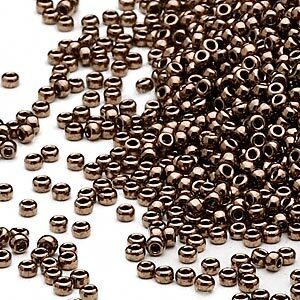 The 15/0 bead measures approximately 1.15mm in the direction of the thread and is approximately 1.55mm wide. 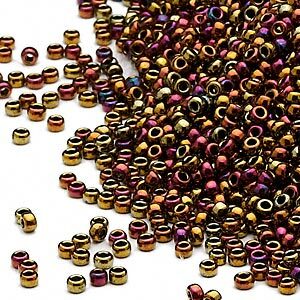 It takes about 350 beads to cover a square inch surface and a 250-gram box will cover over 178 square inches. 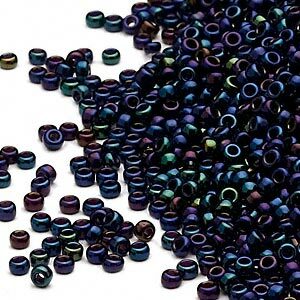 15/0 Miyuki rocailles allow you to create intricate patterns and subtle color changes not possible with larger beads. 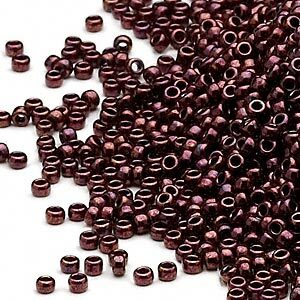 They are also ideal for going around corners or for filling small spaces in patterns with larger beads. 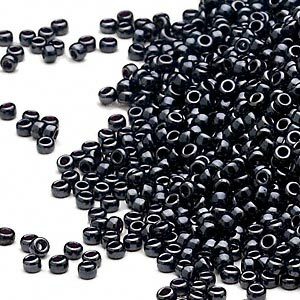 A 250-gram package can contain approximately 62,500 beads. 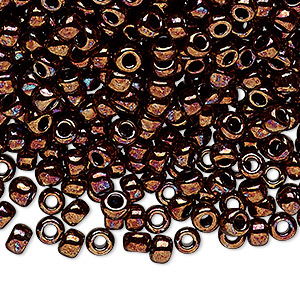 Seed bead, Miyuki, glass, opaque metallic dark bronze, (RR460), #15 rocaille. Sold per 35-gram pkg.